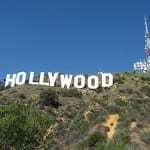 It’s a surname name with an on-trend sound, and a Hollywood mega-star to boost it. 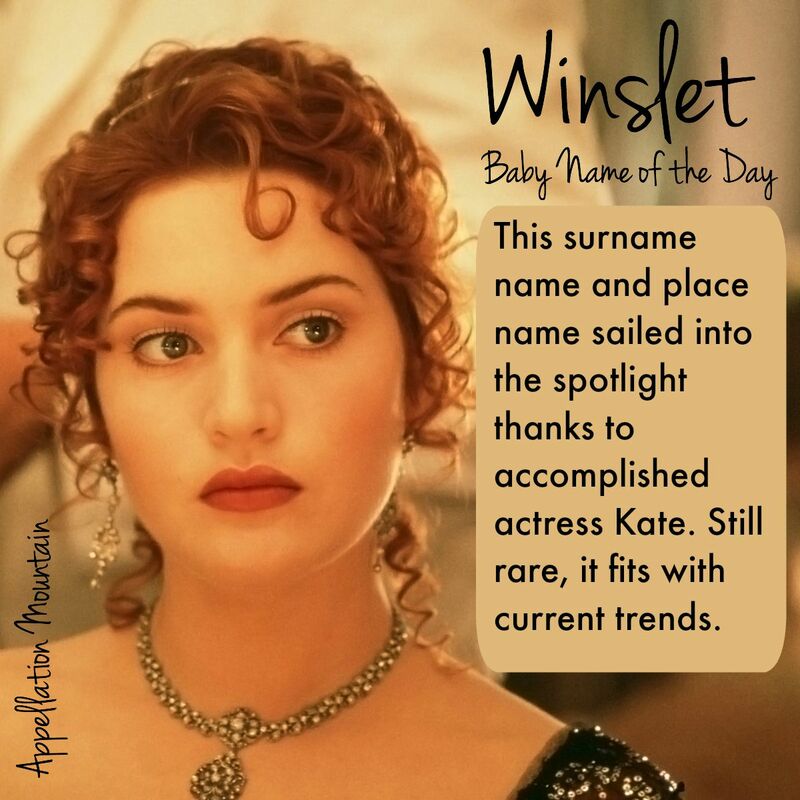 Thanks to Kenneth for suggesting Winslet as our Baby Name of the Day. Kenneth actually suggested Winslett. 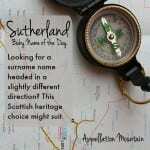 But one ‘t’ or two, this is a surname name with murky origins. I’ve chosen the one ‘t’ spelling thanks to the most famous bearer of the name – but more on her in a minute. The best explanation I’ve found for Winslet is that it comes from an early place name, either Winesflode or maybe Wynnesfloud, depending on the year and the record. It eventually became Winslade and then Winslet – or Winslett. The second element seems to mean stream, but the first one is up for debate. I’ve seen it listed as the personal name Wynn, which means fair. But the Old English element wine means friend, and is just as common in given names – it’s the source of the second element in Edwin and Alvin. Regardless, there’s at least one place by the name still on the map, in Hampshire. I’ve also found references to the Manor of Winslade, which was owned by Hugh de Port back in 1086. There’s also a Winslade Manor, but I doubt it’s the same house. It might be the same location – or maybe just a coincidence. That’s a pic of the road to Winslade in the fall – very pretty, isn’t it? English actress Kate Winslet, winner of an Oscar, an Emmy, and a Grammy, plus a handful of Golden Globes and other awards, has put her surname in the spotlight. She made her television debut in 1991, and her first movie in 1994. Then came Titanic, and it was huge. The year was 1997, and Leonardo DiCaprio – cast as the heroic, romantic Jack – had already been nominated for an Oscar. Kate was a relative unknown, but they both became mega-stars after the movie became an international smash, winning eleven Oscars. 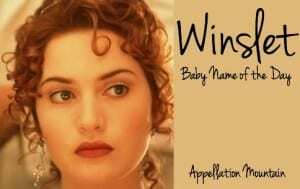 Whispers of Winslet have been heard ever since, with the name appearing on baby name forums and blogs. But it seems like it was very seldom used. In fact, the name debuted in the US Social Security records in 2014, when there six baby girls named Winslet. We’re all about surname names inspired by the famous and fabulous, from Hollywood’s Harlow and Gable to rock legends like Hendrix or Lennon. Winnie, Winifred, Winter, Winslow … there’s no shortage of fabulous Win- names that would wear well on a daughter. Why not Winslet? There’s been a trendlet for -et ending names for girls. Winslet fits right in with stylish Violet and Juliet, as well as classics like Margaret and comebacks like Colette. Of course, the name is so very associated with Kate that most people will probably ask if you’re a fan. That’s not necessarily a bad thing. Her career has flourished, and she’s emerged as a humanitarian, as well as a celebrated actress. 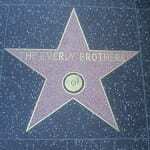 But doubtless some might hesitate to choose a name so very associated with a name on the marquee. Winslett might help side-step the association. But I think this name could be a great stands-in/fits-out possibility for parents who don’t mind the association with the Oscar winner. What do you think of Winslet? Do you think the association with the actress is a problem, or does this name work even if Kate leaves the spotlight? Thanks for the write up love the name even more now. I’m extremely attached to names that end in that spare, single-t (Ayelet, Juliet, and Iseult being a few of my favorites). I find them just beautiful to look at and to say. Winslet is lovely, and a really creative way to get the nickname Winnie. I agree! If there wasn’t an actress with the name, it would have been invented anyway.